:: Another young Whooping Crane has been shot, but at least the hunter turned himself in. :: City birds are breeding earlier than their country cousins because of ambient light. :: A north Toronto office complex with has been cleared of charges in a case where about 800 birds were killed or injured in 2010. The Globe and Mail has the story and so does the Toronto Star. :: More on birds crashing into windows: a podcast from the CBC’s Toronto Metro radio show. :: A new species of owl has been discovered in Indonesia. :: From 10,000 Birds: I and the Bird: What is a Falcon? 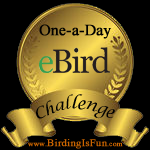 This entry was posted in Birding, Birding News, General Birding, Winter. Bookmark the permalink.